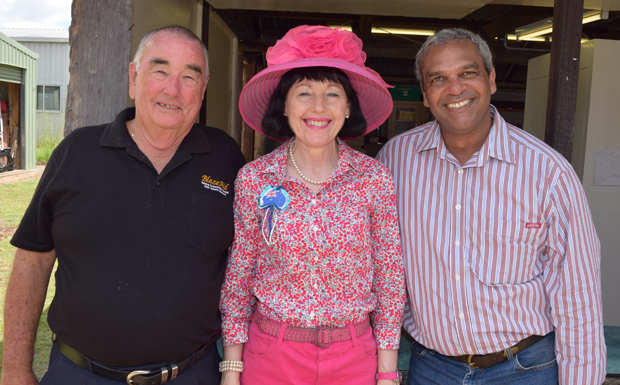 Former Murgon resident Waverley Stanley – founder of the Yalari education foundation – was made a Member of the Order of Australia (AM) in the Honours List announced on Australia Day. The former Murgon State School student began his career after gaining a scholarship to attend Toowoomba Grammar School. Waverley believes his success has been shaped by the education he received – and has publicly acknowledged Murgon teacher Rosemary Bishop who recognised his potential in Year 7 – and so the idea for Yalari began. He founded the not-for-profit foundation in 2005 to give other Indigenous schoolchildren the same chances that he had. Yalari identifies children who are doing well at primary school and gives them the opportunity to be taught at some of the best boarding schools throughout Australia. His Australia Day award citation reads: “For significant service to the Indigenous community through support for education”. Waverley, who was a nominee in the 2011 Australian of the Year Awards, now lives on the Gold Coast but is a frequent visitor to the South Burnett where his parents Warry and Grace Stanley reside. He also helps to organise the Cherbourg Walk by Yalari students from the old Durundur Aboriginal Reserve, near Woodford. This recreates the walk made by many of the ancestors of today’s Cherbourg residents when Durundur was closed in 1905.